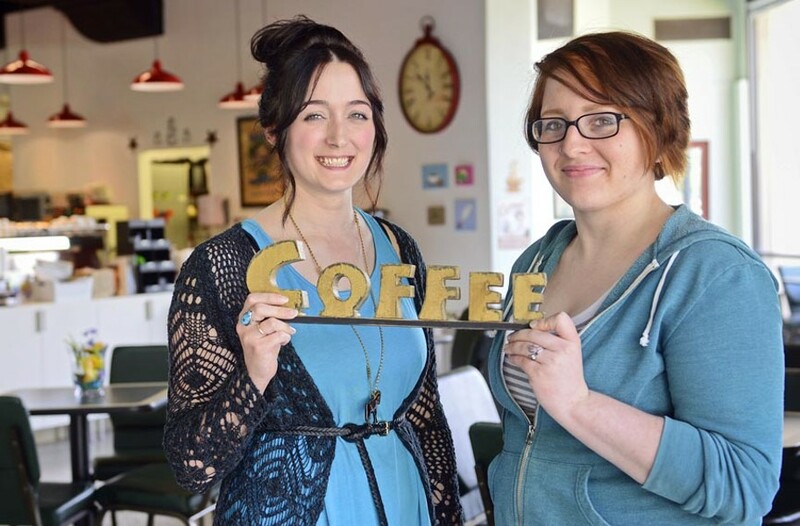 Ash Daniel Mary Stanfield and Mara Beatnik, veteran baristas at Adbibo Coffee, are dedicated to serving a good cup of coffee to each customer. Coffee culture has grown increasingly sophisticated, and the baristas who pull our espresso seem to have melted into part of our day-to-day lives, cheerful old friends who know our quirks and politely overlook them. But what is it like on the other side of the counter? We asked Mara Beatnick and Mary Stanfield at Adbibo Coffee Co. what it was like to serve the cup of life to customers every morning. Style: What question do customers ask you the most? Beatnick: Machiattos. And when did we open? (FYI: Adbibo opened in June 2013). Stanfield: We do hear about macchiatos a lot because people are confused between traditional macchiatos and American style, like the Starbucks caramel macchiato — vs. the double espresso with foam that’s traditional. What coffee drink is ordered the most often? Beatnick: Brewed coffee or just flavored lattes. Stanfield: We get a lot of brewed coffee [orders], I think, because people know we’re a small shop and know that it’s good quality and fresh. What’s the most difficult or unusual drink you make? Beatnick: That would be the Adbibo blast. Stanfield: We have an ice cream espresso drink [with hazelnut and cinnamon]. … The hardest part is just breaking down the ice cream. We prepack it in a cup and then we have to get it out — it’s hard. It’s even harder if you try to scoop it. It takes a minimum of five minutes. Beatnick: It’s delicious, but yeah, it’s a pain. What is it you like about this job? Beatnick: We like getting to know the customers — and getting free coffee. Stanfield: My mom kind of raised me on coffee. I started drinking it very young so it’s just part of my life. Plus, being a local roaster, it’s way more hands-on. Beatnick: Even when things are really hectic and crazy, we still have fun.